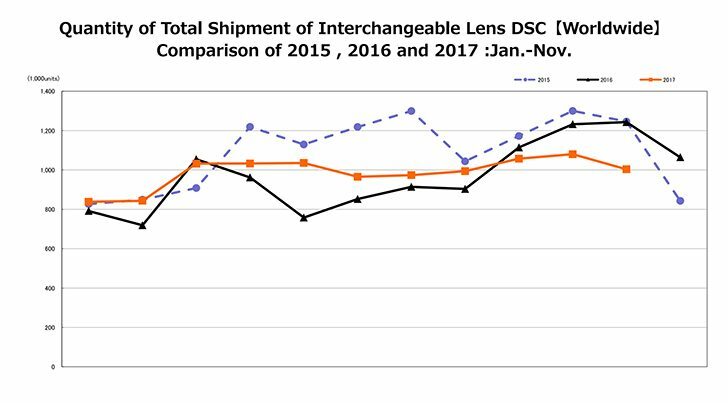 Year to date CIPA figures have been released, and there is a slight decline in shipments when compared to 2015 and 2016 for the same period. Mirrorless cameras account for about 35% of total sales. 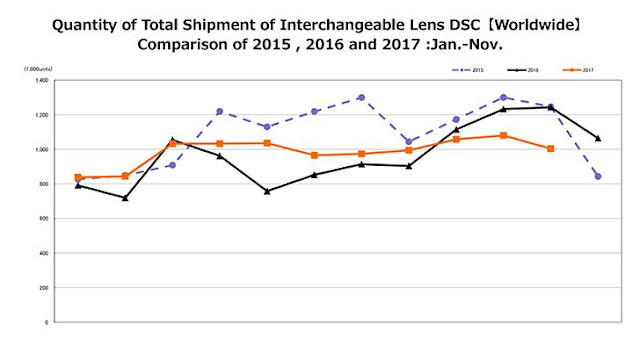 This percentage has been hovering around the same number for the last few years, despite all the buzz and interest generated by the high end Sony mirrorless cameras like the A7 and A9 models. Canon and Nikon are expected to announce their own high end, full frame mirrorless cameras this year. In the case of Canon, I am waiting for the high end, full frame model with the EF mount before I get interested in mirrorless cameras.